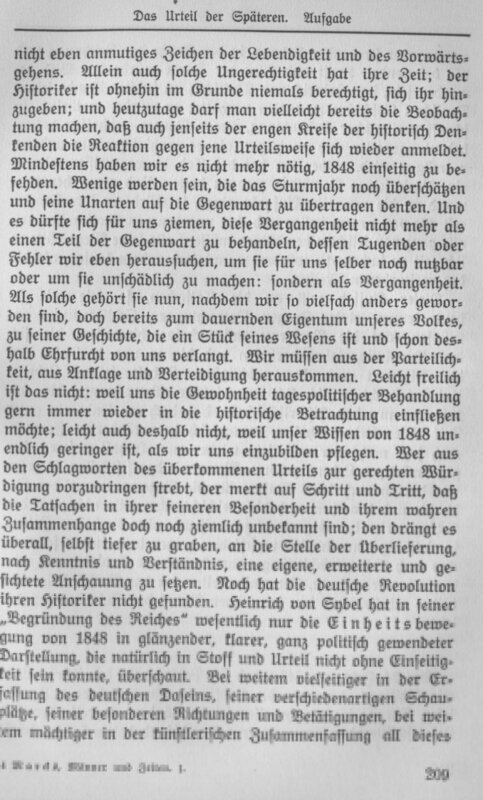 This is a page from the book „Männer und Zeiten“ by Erich Marcks. The grayscale scan, taken at an initial resolution of 300 dpi, shows good overall quality with some imperfections. until the individual letters occupy only a few pixel cells. The text still remains readable!